Located in the desirable ASTON WOODS section of WALDEN LAKES, you don’t want to miss this stunning custom built 3 bed, 2.5 bath, w/a loft that could be an additional bedroom home & NO REAR NEIGHBORS. 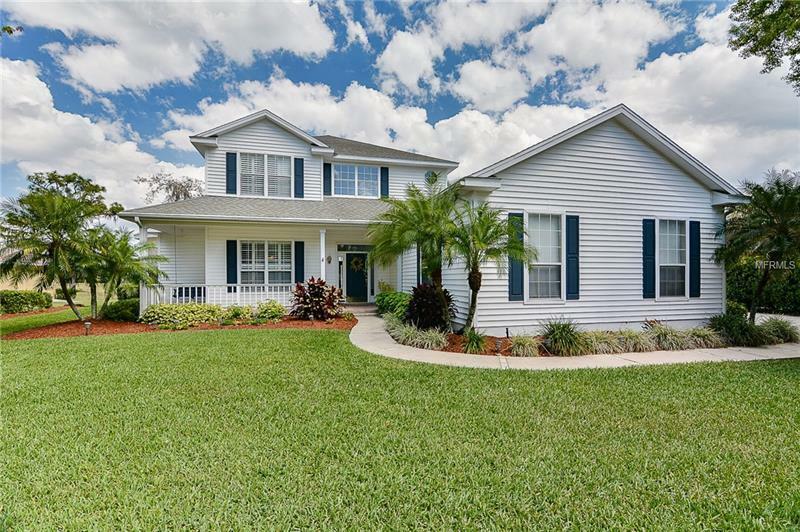 You'll fall in love with the manicured & lush landscaping of this home as it leads you to the tiled sitting area on the front porch. Coming into the grand foyer with high ceilings you know that this is a quality home w/coffered ceilings, crown molding, custom header moldings around all the doors, & lots of unique touches! A spacious formal dining room just off the kitchen will accommodate your large family gatherings, while the breakfast nook w/bay window and bench seating (with storage) in the enormous kitchen can easily seat the family for more casual meals. Granite countertops and stainless steel appliances, and a large walk in pantry compliment the kitchen, while a built in desk adds functionality. The kitchen overlooks a large family room with glass french doors that allow entry to the formal living room, that boasts custom built in entertainment center & overlooks the pool area. The solar heated pool w/two waterfalls provides & exquisite relaxing experience for all to enjoy. The HUGE master bedroom can accommodate large furniture & still allows for an additional seating area. The MB has double sinks, a garden tub, & seperate shower. The large walk in closet completes this space. The upstairs has two huge bedrooms that each have walk in closets & jack & jill bath with a sink for each bedroom, plus loft. Pet Restrictions: See HOA documents at www.WaldenLake.org go to Neighborhoods to Aston Woods to view pet restrictions.